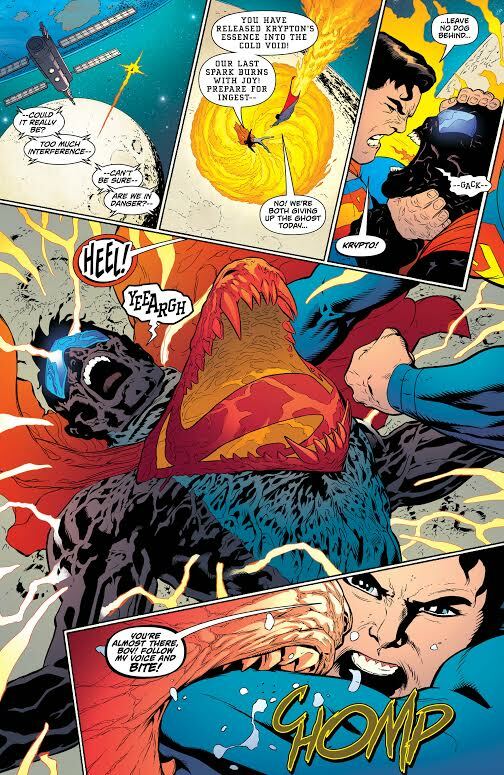 “Son of Superman: Part Six,” by Peter J. Tomasi and artist Patrick Gleason, starts off with a lot of action. Superman is on the moon, fighting Eradicator, in honor of his son. 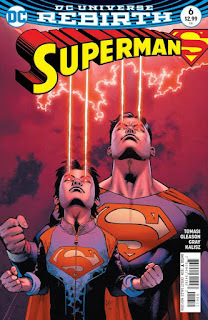 The Eradicator thinks that Jon will destroy the Kryptonian name and that Jon is a mistake. Obviously, Clark disagrees with this opinion of his son and is going to fight for him and his family. One part that was a bit out of place for me was when Superman released Krypto from the Eradicator.There was no mention of Krypto prior in this issue, so it seemed like it was just thrown in there. However, I always like to see an appearance from Krypto. Once the Eradicator is defeated, Krypto, Superman, Lois, and Jon head back home to Earth. Lois, once again, proves that she's a great mom by telling her son that he isn't going to be like his father, but he's going to be his own person and he'll be amazing. 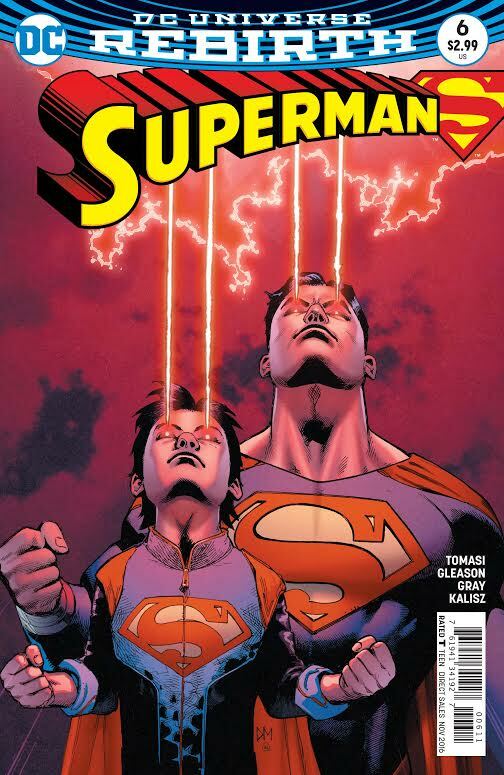 I also enjoyed the father and son moment, towards the end of the comic, where Clark gives Jon his own pair of glasses. Jon really isn't impressed with them, but what kid that has Superman for a dad is going to be impressed by a pair of glasses? Jon does look adorable in them, though. The Verdict: This issue starts off with a lot of action, but ends on a sweet, family-oriented note. This comic definitely shows how much family means to Clark, which if you have read other Superman comics, you already know. It's going to be interesting to see how Jon is going to work with the Justice League and to see how and if all the members welcome him. for the latest comic reviews!